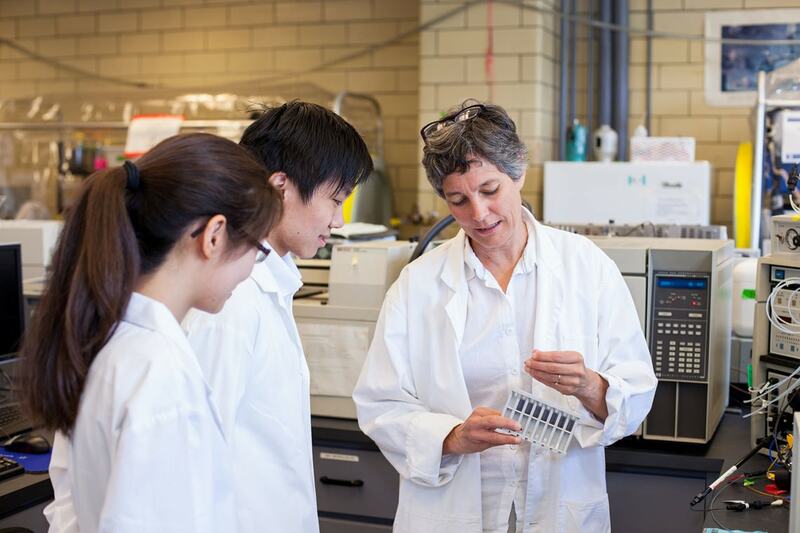 University of Toronto chemical engineering professor Elizabeth Edwards and her team have developed a secret weapon in the war against pollution: a mix of micro-organisms that eat toxic chemicals for breakfast. New funding announced July 11 by Genome Canada will help Edwards and her industrial partners bring the unique microbial culture to market. Everywhere that tanks of oil or gasoline are stored underground, hazardous chemicals such as benzene, toluene, ethylbenzene and xylenes — collectively known as BTEX — leak into soil and groundwater. “The owner of every gasoline station on the planet probably has some contamination issues,” said Edwards, who holds the Canada Research Chair in Anaerobic Biotechnology. To clean up the site, crews have to dig, wash or aerate the soil to encourage the growth of oxygen-loving micro-organisms that break down pollutants — a labour intensive, time consuming and expensive remediation process. Edwards and her team have discovered another set of organisms that live without oxygen and could do the job without having to churn up and process all the soil. Today’s microbial cultures have evolved from soil samples taken at contaminated oil refinery and gas station sites more than 15 years ago. Since then, Edwards and her team have been enriching the cultures by feeding the organisms with benzene and related chemicals that are difficult to degrade and selecting the samples that are most effective at breaking them down. “What we have is a culture that can basically chow down on BTEX chemicals when there’s no oxygen around,” said Edwards. Adding this culture to a contaminated site can speed up the degradation of pollutants, a process known as bioaugmentation, with minimal disruption to the environment. In addition to demonstrating its effectiveness in the lab, the team has done extensive genomic sequencing to understand which individual species in the culture are responsible for each step in the chemical breakdown. “We think it’s ready to be tested in the field, but to do that we have to scale it up,” said Edwards. Edwards is partnering with SiREM, an environmental remediation laboratory in Guelph, Ont. that specializes in bioaugmentation. SiREM has already commercialized another one of Edwards’ microbial cultures, KB-1®, which is optimized to clean up chlorinated solvents such as those used in dry cleaning and other industrial applications. Adding BTEX to the list of treatable chemicals could help increase their share of the global market for bioremediation, which is estimated in the billions of dollars. SiREM will grow hundreds of litres of the new microbial culture using specialized bioreactors, test the product at contaminated sites owned by a third partner, Federated Co-operatives Limited. Other partners include Mitacs, who is funding a post-doctoral researcher on the project, as well as the Ontario Ministry of Research and Innovation, who will provide matching financial support. In total, the project’s budget will reach nearly $1 million, including in-kind support, over three years.